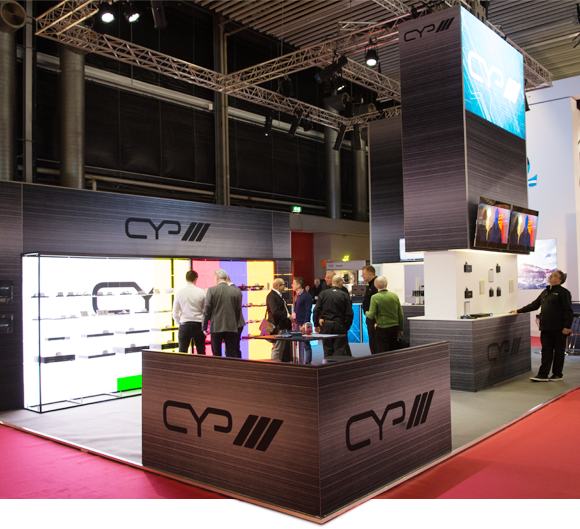 Visit CYP @ ISE 2018! It’s the opening day at ISE 2018 and we are ready to welcome you all to our new stand (Hall 5 / Stand U50) - and there is a lot to show you! Making its debut is our latest AVLC (Adaptive Visual Lossless Compression) technology, which delivers genuine 4K UHD signals in perfect quality up to 70 meters over a single run of Cat 5e/6/7 cable. A ground-breaking technology, AVLC finally gives installers the technology required to deliver faithful HDR (HDR-10/Dolby Vision) video over long distances and we are running active demonstrations on our stand so you can see for yourselves. As well as the introduction of AVLC, we will be launching 40 new products at ISE 2018. Heavily featuring HDBaseT technology, highlights include new additions to our range of extenders, matrices and IP solutions, including the first showing of our new flagship HDBaseT matrix - the PUV-1082-PRO. Integrating AVLC technology into this 10 x HDMI input / 8 x HDBaseT + 2 x HDMI output matrix, the PUV-1082-PRO includes a complete audio matrix for total flexibility. Joining our range of matrices is our all-new modular system - the 16x16 MODX-1616. Assembled in multiples of four inputs/outputs, a user can specify any configuration they require - from 4 inputs x 16 outputs up to 16 inputs x 16 outputs and back to 16 inputs x 4 outputs. HDMI & HDBaseT connectivity and switching, including audio dembedding across all outputs, is all possible from this highly advanced modular system. In addition to AVLC and all of the new products, new for ISE 2018 will be our new innovative stand concept, which allows for more hands-on product briefings, AVLC demonstrations, technical workshops and meeting area. Using much of our video display technology to light up the stand and visually illustrate what we are showcasing and launching, we are looking to make a real impact as we welcome visitors to the stand. . It has taken a lot of planning but we are very excited to finally reveal our latest technology and products. 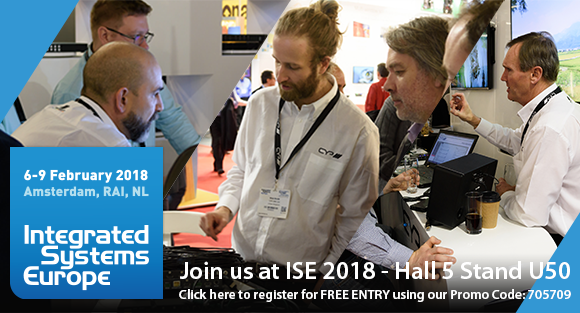 So head over to Hall 5 / Stand U50 during your visit to ISE 2018. We can’t wait to show you everything we have been working on! If you aren’t travelling to ISE 2018, you can still see what we have been working on by looking through our show brochure, which you can download by clicking here.